Trees are full of stories and this tree is especially full of tales to tell. Climbable and full of animals, it’s everything a children’s museum tree should be: artful, fanciful, and kid-sized. 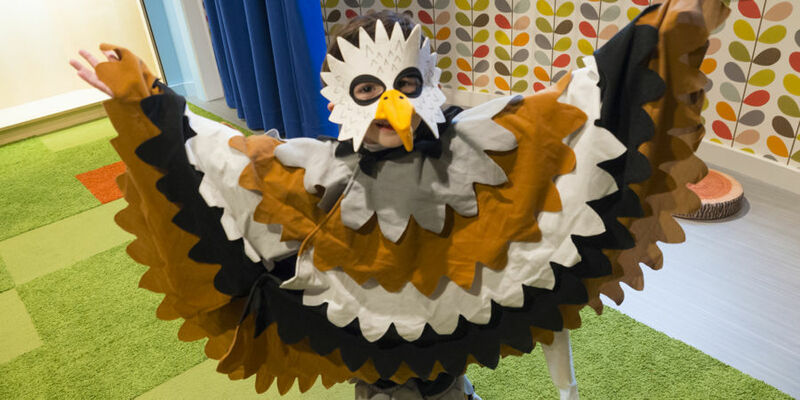 Climb up the secret staircase and find the owl and eagle families, or dress up as your favorite story character. Then look for the tucked away reading nooks or put on a show for your friends on the Story Stage. Keep little hands and minds busy at the Activity Table! 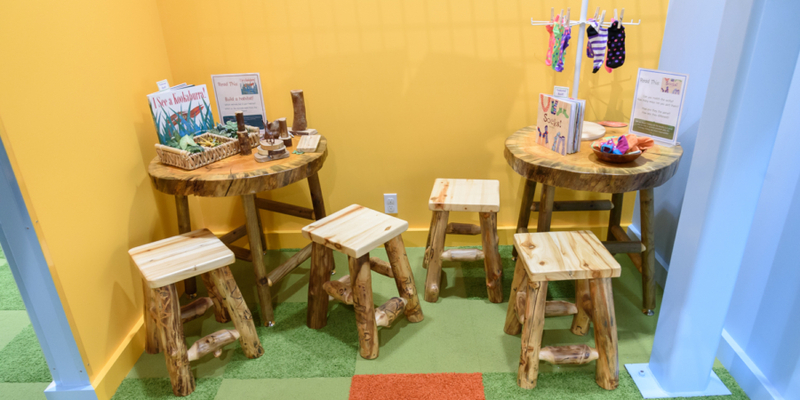 Correlating with the books on display in the Story Tree library, these ever-changing activities are open-ended but provide influence and direction to kids and grownups who want to take the book they’ve been reading to the next level. The Dress Up Station addresses one of the most important parts of theater: costumes! 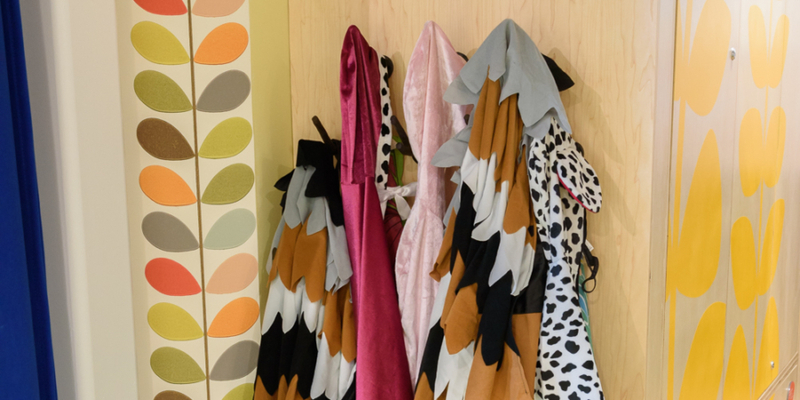 At the Dress Up Station, kids wear the garments that help to put them inside their own story, enhancing the imaginative play with the flair of performance accessories. The Spiral Stairs are the way up to the top of the Story Tree. 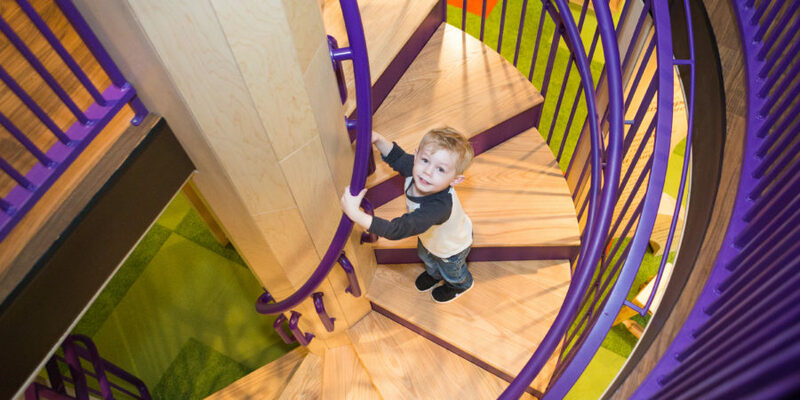 The Spiral Stairs form the trunk and allow a way for kids and grownups to make their way to the lofty peak on the second floor to explore, play, and read. 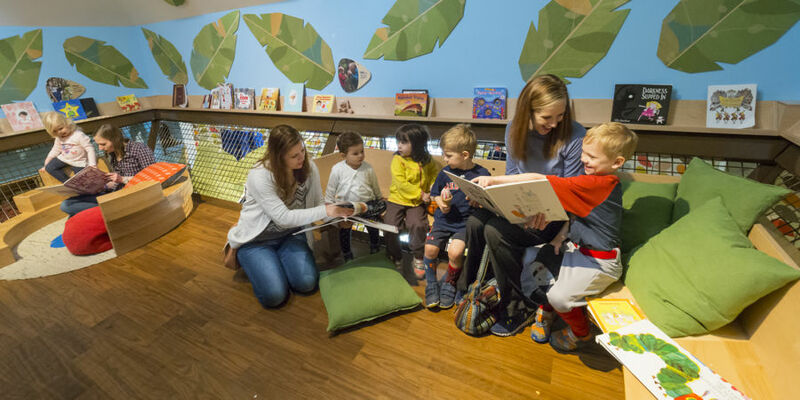 The Story Stage combines elements of active, imaginative, and dramatic play, and is the location for Storytime and live performances by entertainers during special events. Circle up at the Story Tree with some classic fairy tales and new favorite stories! Kids can read, sing, and dance with friends and family while exploring KidsQuest’s collection of books. Literacy and reading are essential skills in order to be successful in school, and KidsQuest’s library helps build these skills in kids of all ages.